February is almost over and I have the Springtime itch... I want sunny days, open windows, no more Winter coats. I blame retail. The stores are starting to fill up with camping gear, gardening supplies, and lots of pastels for Easter. Then, there's Gwen Stefani's new single - Make Me Like You. I'm addicted and it's the perfect song for nice weather. My excitement to play this song (and her entire new album) while driving with my car windows down this Spring is strong! Between social media and one of my best friends, this show kept being recommended to me. I watched the first season and I loved it. It took a couple of episodes to grow on me but by the end of the season I really liked Abbi and Ilana. I'm looking forward to starting the second season to see more of their adventures. 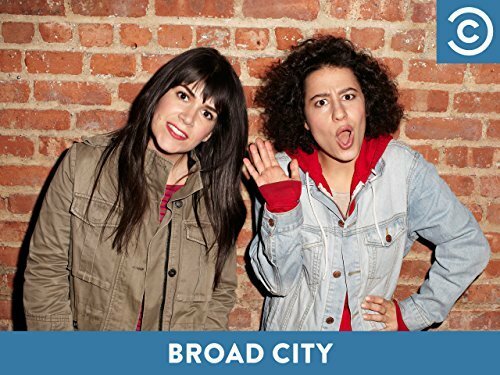 "Broad City follows two women throughout their daily lives in New York City, making the smallest and mundane events hysterical and disturbing to watch all at the same time." I'm very curious about Broad City. I hear nothing but good things and it sounds right up my alley. Rick and I have finally jumped on the Vikings bandwagon and I am WAAY into it right now.